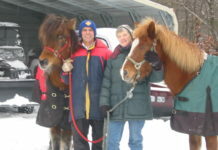 In my practice, as a hoof care practitioner, I trim foundered and laminitic horses, ponies and donkeys. 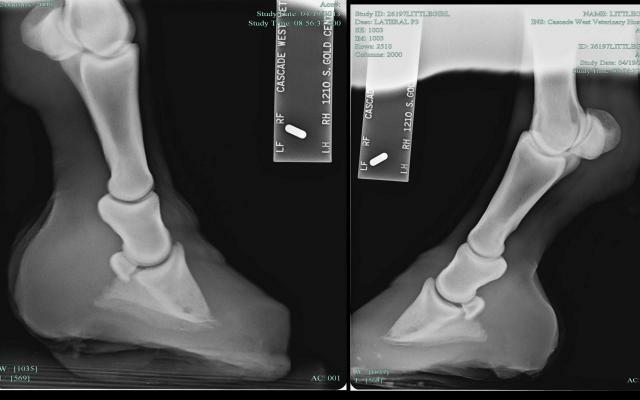 Unfortunately this spring I have had quite a few founder and laminitis cases. Part of the rehabilitation process is making these equine as comfortable as possible, so they will move and heal. The Easyboot Rx is often a key element in the healing process. 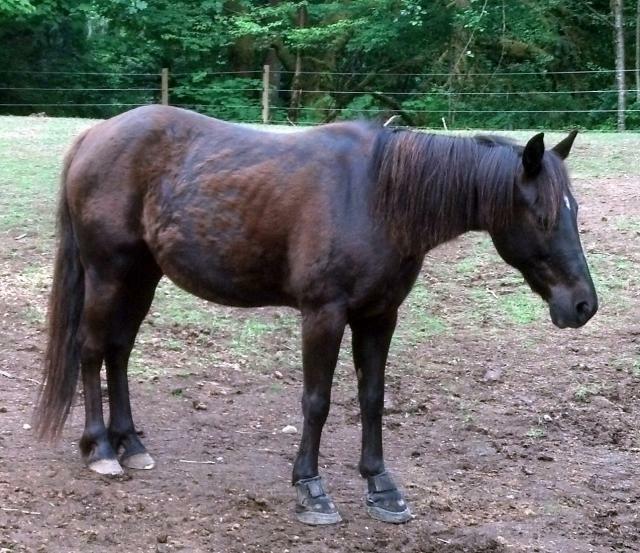 This is Little Girl, a 15 year old registered Rocky Mountain mare, she had just arrived at her new home. When I first met her she was laying in a dark stall, bedded down deep with shavings, suffering from the first of two painful abscess and active founder. This was a week after I first trimmed her, wearing her Easyboot Rxs. You can see she isn’t 100% comfortable, as she is holding that front right hoof out, however she is more comfortable with her boots than without. 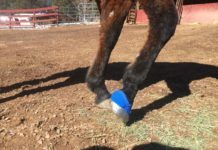 Because of the painful abscess, Little Girls right front hoof was soaked every day in Epsom salts, and her hooves were then packed with Epsom salt poultice, her Easyboot Rxs were then reapplied. After three days of treatments she finally blew that painful abscess. Radiographs were taken of her fronts. Because of her painful abscess, she was unable to fully weight her right front, as you can see in the radiograph. 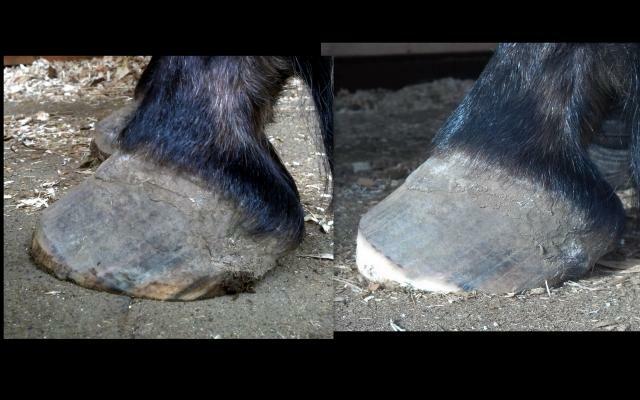 Below are before and after lateral views of her front feet, two months into rehabilitation and after four or five trims. 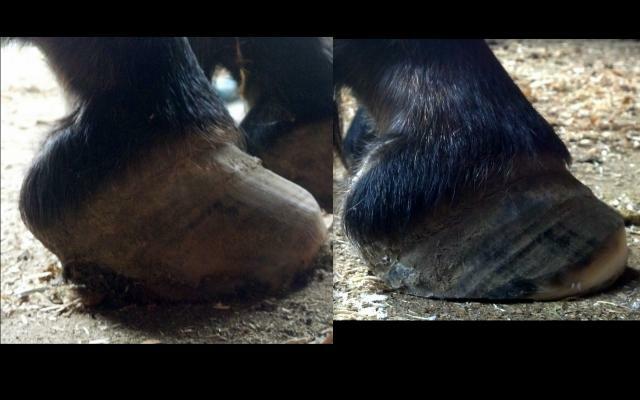 After every trim her Easyboot Rx’s are reapplied to protect her hooves and encourage her to move. Right front before (left) and after (right). Left front before (left) and after (right). This is Little Girl after her most recent trim. 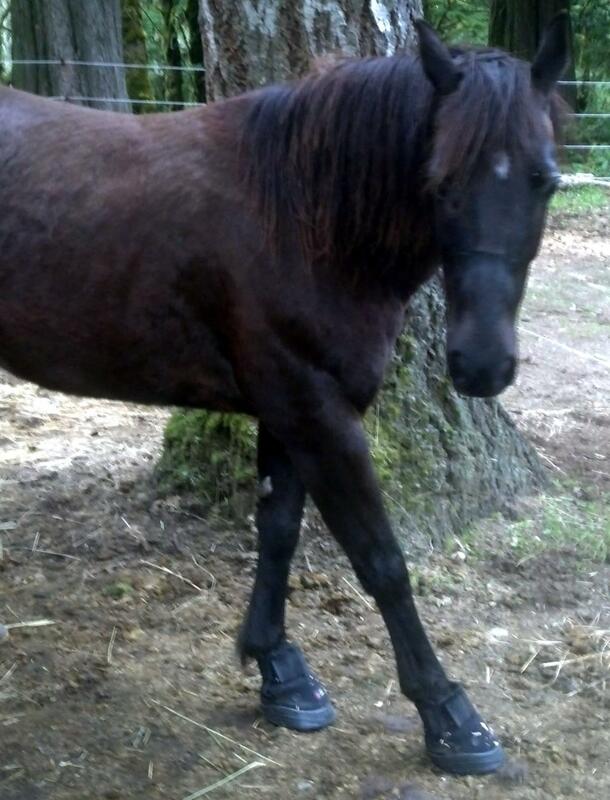 She is comfortable when wearing her Easyboot Rxs and well on her way to a full recovery. Every day Little Girl has her boots removed, powdered heavily with Gold Bond, or Odor Eaters powder, given a few moments to air her feet and have them cleaned/inspected, then her boots are reapplied. Diet – Remove the cause of the founder, often it is sugar/starch overload (grass pasture). In Little Girls case it was excessive grain/alfalfa (also sugar/starch overload). Equines need a grass based diet balanced with minerals and vitamins. Slow feeder (small hole) hay nets are very useful, especially when horses are in dry lots. They slow down the horse, keep the horse busy and full, and keep food in the stomach which can help prevent ulcers. They also save you money on your feed bill, as little hay is wasted. Trimming – Frequent (2-4 weeks) balanced trims are ideal (lower heels, back up the toes). Boots – It is vital to provide protection and sole relief. 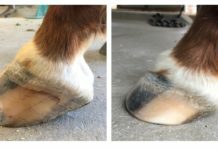 Easyboot Rxs are the perfect solution for founder and laminitis rehabilitation. They are not made for riding, instead for protection and an aid in movement. Movement – Movement is a vital part of the healing process. Little Girl had a paddock mate to encourage her to move. Hand walking, in Easyboot Rx’s, is also very helpful. To follow Little Girls rehabilitation process you can follow her album here on Facebook. Next articleGloves and Pads? It Can Work!